Poor governance is increasingly recognized as the greatest impediment to economic development in Sub-Saharan Africa. Currently, some impressive governance reforms are underway in many countries. This includes cases such as Nigeria – formerly the most corrupt country in the world according to Transparency International. Yet other countries such as Chad are still in reform deadlock. 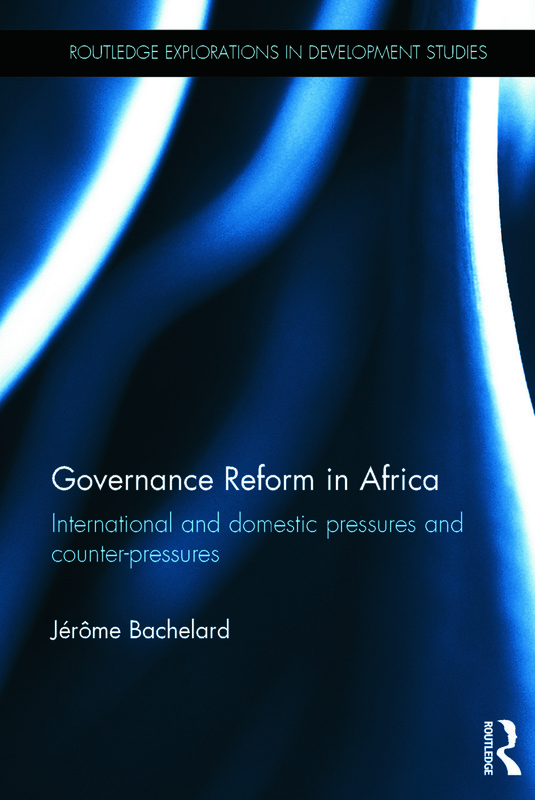 To account for these differences, this book examines governance reform in Sub-Saharan Africa based on an analysis of international and domestic pressures and counter-pressures. It develops a four phase model explaining why governance reforms advance in some instances, whilst in others governance reforms stagnate or even relapse. No study has sought to systematically examine the political forces, both international and domestic, behind the successful conduct of governance reform in Sub-Saharan Africa. Yet, coordination, collaboration and mutual support between international and domestic actors is critical to push individual governments onto the path of reform. This book shows that while international and domestic pro-reform pressures are important, an analysis of anti-reform pressures is also necessary to explain incomplete or failed reform. The main theoretical arguments are structured around four hypotheses. The hypotheses are theoretically generated and tested over four case studies – Madagascar, Kenya, Nigeria and Chad. On this basis, the good governance socialization process is inductively developed in the concluding chapter. This model illustrates how governance practices can evolve positively and negatively in all countries of Sub-Saharan Africa, based on the nature and relative strength of international and domestic pressures and counter-pressures. Dr Jerome Bachelard is Visiting Fellow at the Center on Conflict, Development and Peacebuilding which is based at the Graduate Institute of International and Development Studies in Geneva, Switzerland.